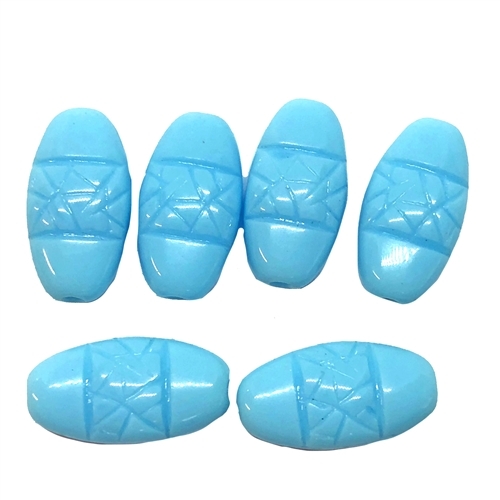 Light blue glass beads, glass oval beads, beads, jewelry making, rare Cherry Brand. Measures 16 x 8mm. 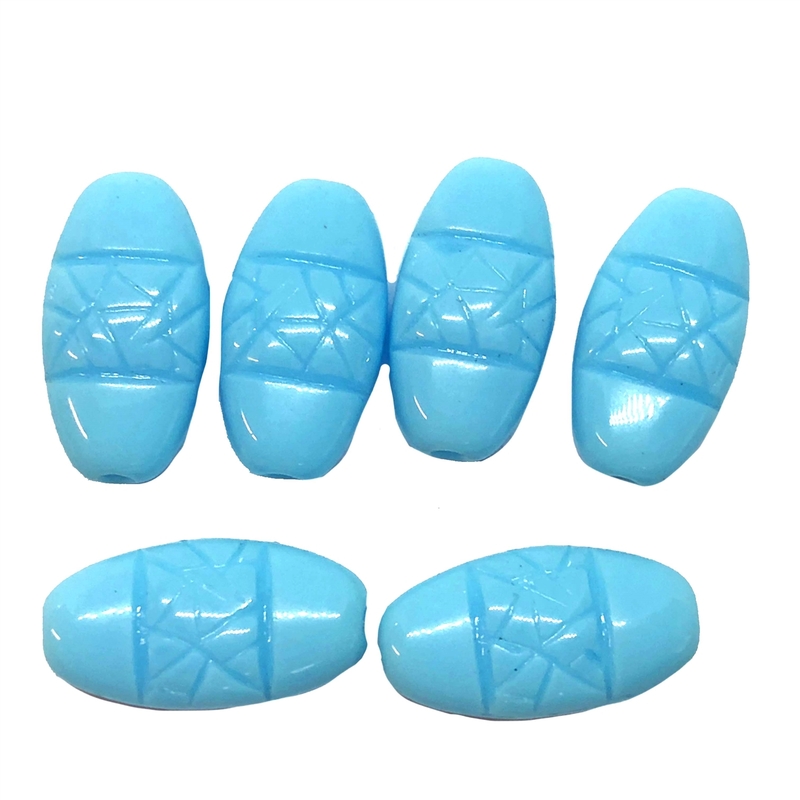 These flat oval shaped blue turquoise glass beads with through holes have an incised pattern across the center. Made in Germany in the mid 1960s. Beautiful oval beads, drilled from top to bottom. Sold by six (6) piece packages.